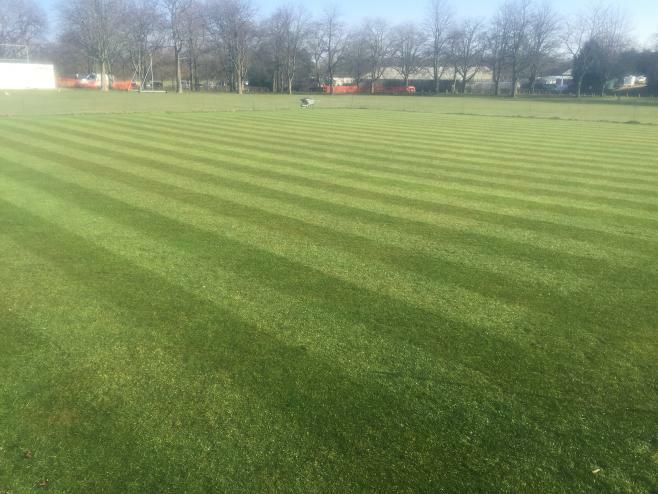 Over time, if end of season work has not been carried out consistently to a high standard and the square has not been constantly maintained throughout the season then thatch can build up in the top layer of the surface and seriously effect the quality and structure of your pitches. 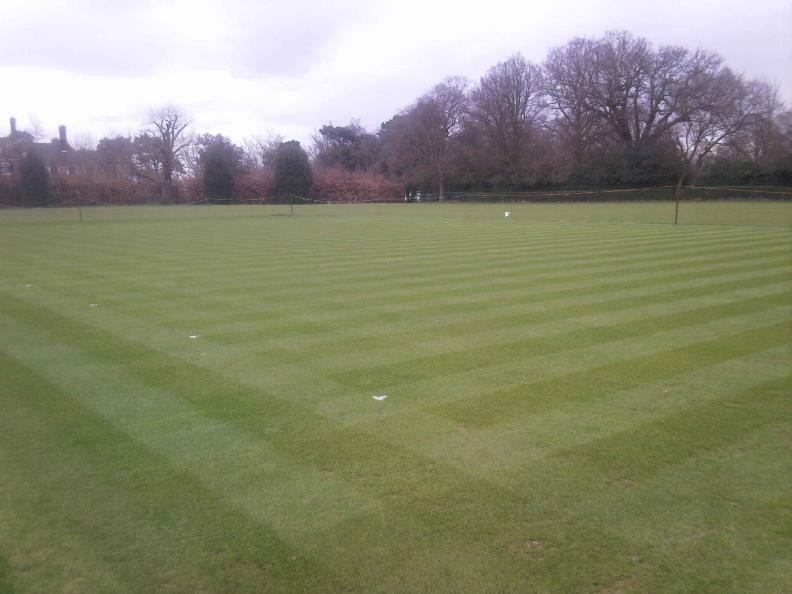 We will take a soil sample to determine what solution to apply to your square. One solution is to fraise mow the square. 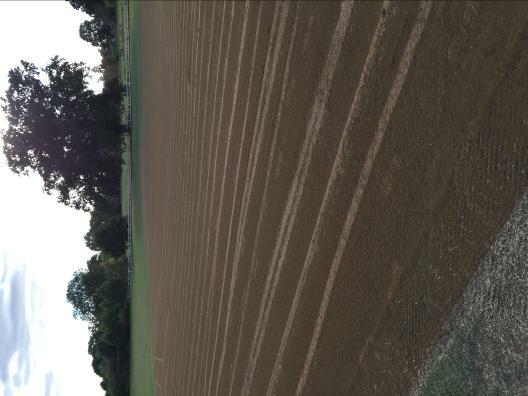 This process removes the top layer of grass in order to take out the thatch, before end of season work is carried out. 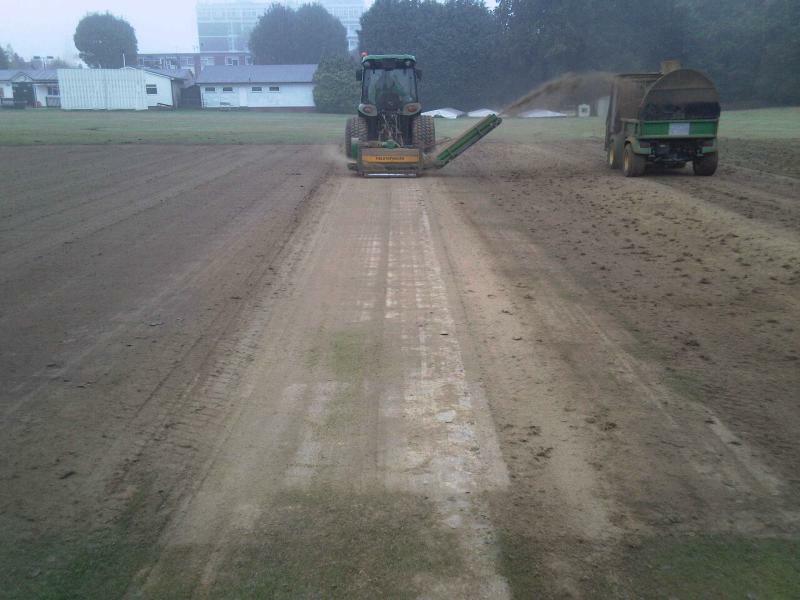 The pictures below show the work we carried out on the Brentwood CC square in October 2009. The pictures below show the square in early March, just under five months after the work was carried out and after a very harsh winter too! 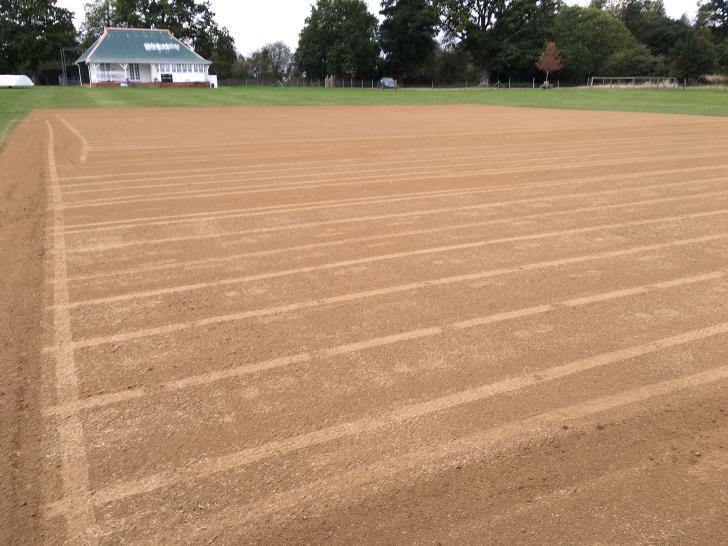 The pitch scores for the following season were 2nd in the Shepherd Neame League.